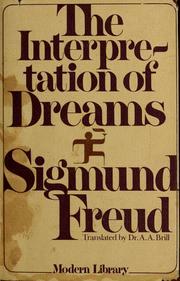 Sigmund Freud uses his ‘kettle logic’ in his discussion in The Interpretation of Dream , as part of his analysis of Irma’s Injection Dream. I remember studying this dream as an undergraduate in my ‘Reading Freud Reading’ module. It’s a fascinating dream, not least because it is Freud’s own dream and involves Freud and is friend and colleague Otto Rank, as well as Irma, of course. A large hall—numerous guests, whom we were receiving—among them was Irma. I at once took her on one side, as though to answer her letter and to reproach her for not having accepted my ‘solution’ yet. I said to her: ‘If you still get pains, it’s really only your fault.’ She replied: ‘If you only knew what pains I’ve got now in my throat and stomach and abdomen—it’s choking me’—I was alarmed and looked at her. She looked pale and puffy. I thought to myself that after all I must be missing some organic trouble. I took her to the window and looked down her throat, and she showed signs of recalcitrance, like women with artificial dentures. I thought to myself that there was really no need for her to do that.—She then opened her mouth properly and on the right I found a big white1 patch; at another place I saw extensive whitish grey scabs upon some remarkable curly structures which were evidently modelled on the turbinal bones of the nose.—I at once called in Dr. M., and he repeated the examination and confirmed it. . . . Dr. M. looked quite different from usual; he was very pale, he walked with a limp and his chin was clean-shaven. . . . My friend Otto was now standing beside her as well, and my friend Leopold was percussing her through her bodice and saying: ‘She has a dull area low down on the left.’ He also indicated that a portion of the skin on the left shoulder was infiltrated. (I noticed this, just as he did, in spite of her dress.) . . . M. said: ‘There’s no doubt it’s an infection, but no matter; dysentery will supervene and the toxin will be eliminated.’ . . . We were directly aware, too, of the origin of her infection. Not long before, when she was feeling unwell, my friend Otto had given her an injection of a preparation of propyl, propyls . . . propionic acid . . . trimethylamin (and I saw before me the formula for this printed in heavy type). . . . Injections of that sort ought not to be made so thoughtlessly. . . . And probably the syringe had not been clean. I won’t go into the analysis here (it’s not a long analysis and is really interesting, so I would recommend it), except to say I did always wondered why Freud ‘missed a trick’ on occasions in his analysis of his own dream (although he somewhat covers himself for that in the conclusion to his analysis – see below). I remember asking my undergraduate lecturer why Freud didn’t question the dynamics of his own relationship with Rank more, in regard to how it was played out in the dream, which I thought might have reflected some degree of competition between the two of them (however, since Rank deferred to Freud here in referring Irma, maybe Freud saw no competition, perhaps seeing himself as the superior of the two). Interestingly, Freud does acknowledge the competition between Rank and another psychoanalyst that he mentions in the dream analysis, Leopold. I also thought that the injection itself was an Oedipal symbol (given in the mouth of Irma by Rank), which Freud also seemed to overlook in this regard, analysing it in relation to another friend of his who took cocaine via injection and also reproaching Rank, later, for giving injections too readily. The whole plea—for the dream was nothing else—reminded one vividly of the defence put forward by the man who was charged by one of his neighbours with having given him back a borrowed kettle in a damaged condition. 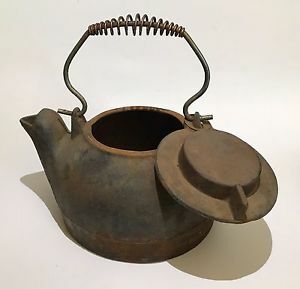 The defendant asserted first, that he had given it back undamaged; secondly, that the kettle had a hole in it when he borrowed it; and thirdly, that he had never borrowed a kettle from his neighbour at all. I think we can probably all recount examples of others (maybe even ourselves) in an argument, ‘grasping at straws’ in order to acquit themselves and throwing out contradictions at every turn. In this regard I see it as an overdetermination inasmuch as multiple elements all point to one cause, which never appears in the contradictory list of defences. And for our kettle ‘thief’, the returned/damaged/never-borrowed kettle all point towards one cause, a stolen kettle!